Certified nursing assistants are healthcare professionals who provide direct care services to patients in hospitals and clients in health care facilities. In Florida, you have the option to challenge the State Nursing Assistant Certification or enroll in a training program or CNA exam prep to improve your chances of success. The knowledge and skills imparted through training are essential. However, true success as a nursing assistant comes as a result of your attitude to patient care. You must be naturally caring and empathetic to work closely with patients and their families. Good organizational and communication skills, diligence, reliability, and commitment are other traits that are essential to success. 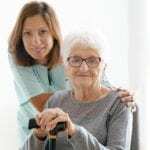 As a CNA, you’ll work with other medical professionals for the good of the patient, and you must be able to understand and meet their demands. The CNA program at the Center for Career Training prepares students to care for clients in nursing homes, retirement homes, and other healthcare facilities. Students learn basic nursing care and are eligible to take the state certification exam upon successful completion of the program. The training covers introduction and orientation to healthcare, special care concerns, common disorders, nutritional and elimination needs, body systems, medical terminology and abbreviations, vital signs, HIV/AIDS, HIPPA, Alzheimer’s disease, and skills lab review. Instructors use lecture, hands-on practice, interactive discussions, and clinical lab experience to ensure students receive the theoretical knowledge and clinical skills to succeed on the Florida Nurse Aide Competency Exam. Morning (8:30 am to 2:30 pm) and evening (6:00 pm to 10:00 pm) schedules are available. Classes meet Monday through Thursday. 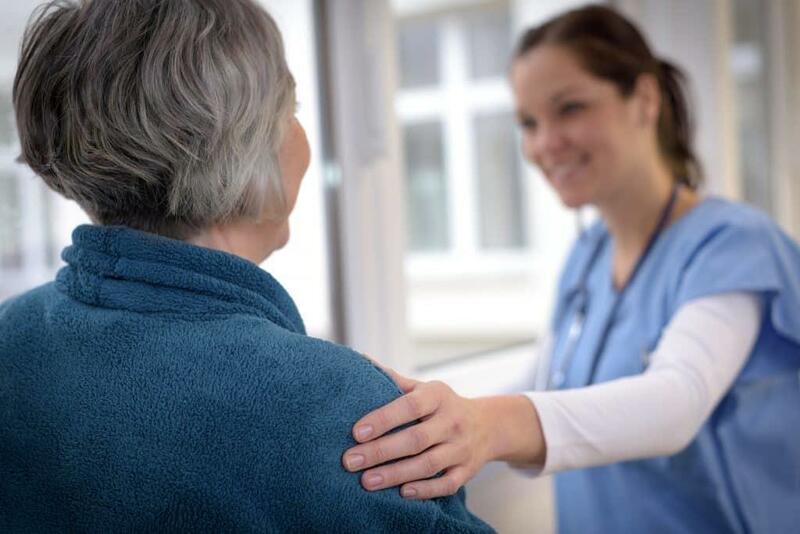 The CNA Exam Prep Course at Beacon Hill Career Training is targeted to individuals who want to work in home health or long-term care facilities as entry-level CNAs. The training includes hands-on laboratory and classroom lectures. Experienced instructors cover the 21 essential clinical skills for nursing assistants in Florida. Students can complete the entire program in just 2 weeks and become eligible to take the state exam at Beacon Hill’s approved testing facility. The school will assist students with the processing of the application to Prometric. Students are encouraged to utilize the practice lab every other Friday to hone their clinical skills. Students must make a down payment of $135 to start the class. The 40-hour nursing assistant exam prep course at Marlene Training Center prepares health care workers, such as Home Health Aides, to challenge the Written and Skills component of the Florida Nursing Assistant Exam. Friendly and experienced staff maintain a low-stress learning environment to prepare students for the world of health care. Students learn basic nursing skills, emergency procedures, specialized care, care for a dying patient, health and safety promotion, the role of the nursing assistant, and patient rights. Classes meet Monday through Friday from 10:00 am to 2:00 pm. Tuition for the program is $740 and includes the textbook and the registration fee. The nursing assistant program at Atlantic Technical College provides students with the knowledge and skills to perform basic services for clients in a variety of health care settings. The 165-hour curriculum may be completed in 1.5 months and is designed for students who have no previous medical experience. The program is divided into 90 hours of basic healthcare worker and 75 hours of nurse aide orderly. Course topics include computer literacy, communication and interpersonal skills, blood borne diseases, anatomy and physiology, organizational skills, infection control procedures, emergency care, math and science, nutrition principles, medical terminology, safety and security procedures, and wellness and disease concepts. Classes meet Monday through Friday from 8:00 am to 2:30 pm. Upon completion of the program, graduates will be eligible to take the State Nursing Assistant Certification Exam. Interested persons must attend a program orientation and complete a level II criminal background check and drug. Tuition and fees cost $390. Books and supplies cost an additional $314. Students must also budget an additional $975 to meet the health requirements, which include liability insurance, physical exam, background check, vaccination, and drug testing. LIFE Training Center LLC provides quality CNA classes that prepare students for the job market. The program runs for 4 to 8 weeks based on the schedule. Graduates are eligible to take the state certification exam to work in hospitals, hospice environments, and long-term care facilities. LTC maintains small class sizes to offer students personalized instruction. Applicants must have a GED or high school diploma and complete a criminal background check and TB test. Helpful staff assists graduates with job placement assistance.